Are you interested in a Rental Analysis and finding out what your property will rent for? Looking for a more in depth analysis of your property’s income potential? You’ve come to the right place. Our Burbank Property Management Group is a leader in serving their client’s property rental needs and focusing on helping clients achieve the best Return On Investment for their rental properties. Rental analysis for your property is critical for determining the projected rental income for your investment. The analysis includes comparable properties in the neighborhood either leased recently or listed for lease. The analysis is also based on similar properties located in the same neighborhood, with similar square footage, and built around the same year. A rental analysis is so important for determining the profitability of your investment and involves many different components that it should be done by a professional that brings expertise and experience. A rental property management company can do the rental analysis for you and generate a report that can guide future decisions regarding your real estate investment. The rental property management company will study the real estate market in the Burbank area your property is located in to determine whether short sales and foreclosures have affected real estate rentals. In most areas, people driven away from their homes by financial hardships tend to rely on rentals for housing. This in turn pushes the demand up and increases the prices. However, the cycle eventually comes to an end and this must be factored in the long-term rental plans. Our top rated property management company also compares properties similar in size, age, and square footage when doing the rental analysis for your property to determine the appropriate pricing. Our company uses a combination of online resources, local newspapers & websites, and local real estate experience to find the comparisons. We also factor in the quality of public transportation, local schools, and neighborhood services and amenities and will try to keep the comparisons within the same grid. A rental analysis for your property is never complete without the market analysis. The property management company studies the local tax rolls to get an idea of what properties have sold for, at what price, and how long they were on the market before selling. The numbers are important since they show the level of demand and supply. If many individual investors invade a residential housing community and buy up properties, the rental prices plummet due to the increased competition and increased supply. The amount of time properties stay on the rental market also indicates strength or weakness in the market. The ideal market is one that moves slowly, has long-term tenants, and has sustainable pricing. 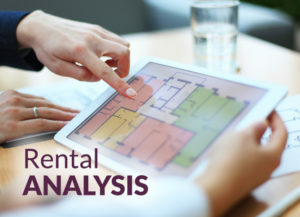 Want a Rental Analysis For Your Property? If you are interested in renting your property, but are looking for information on what it can potentially rent for, you should contact a reputable property management company. 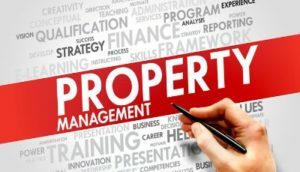 Property management companies are experts when it comes to setting the right price for rentals, and they have the requisite property management certification and training to best guide your decisions. Our property management company understands the relationship between minimizing vacancies and maximizing rents. The analysis takes into account the neighborhood variables and market trends and seeks to deliver maximum value to property owners. If you have a property that you would like to rent out, contact our highly rated management company in Burbank for your custom rental analysis report. If you like what you find in the report, we’ll help you start enjoying the benefit of having qualified long-term tenants and maximizing your rental income. 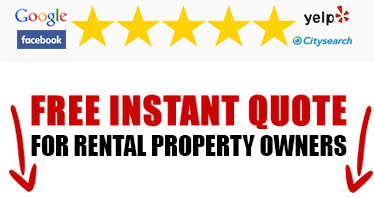 For a Free Rental Analysis, call Burbank’s best rental property management company today at (818) 330-1269.